Thankfully, at the behest of numerous family members, after 33 days on hunger strike Calixto Ramón Martínez Arias ended his hunger strike. Prison conditions at Valle Grande prison are, as Calixto has described them, inhuman. A sampling of his work as a journalist affiliated with the independent news agency, Hablemos Press explains why the dictatorship in Cuba wants him behind bars and silenced. Who is Calixto Ramón Martínez Arias? Calixto is 42 years old and is from El Jíbaro de San Ramón, a small town at the outskirts of the Sierra Maestra in Granma province in Cuba. 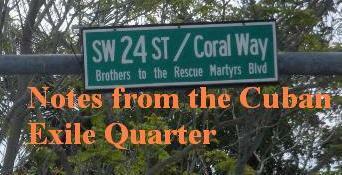 He signed the Varela Project in 1998, an initiative of the Christian Liberation Movement, and was a founding member in 2004 of the Corriente Martiana, a nonviolent movement that sought change through the ideals of Cuban national founder Jose Marti. In 2009 he co-founded Hablemos Press with Roberto de Jesús Guerra Pérez with objective of "breaking the wall of silence and censorship" in Cuba. 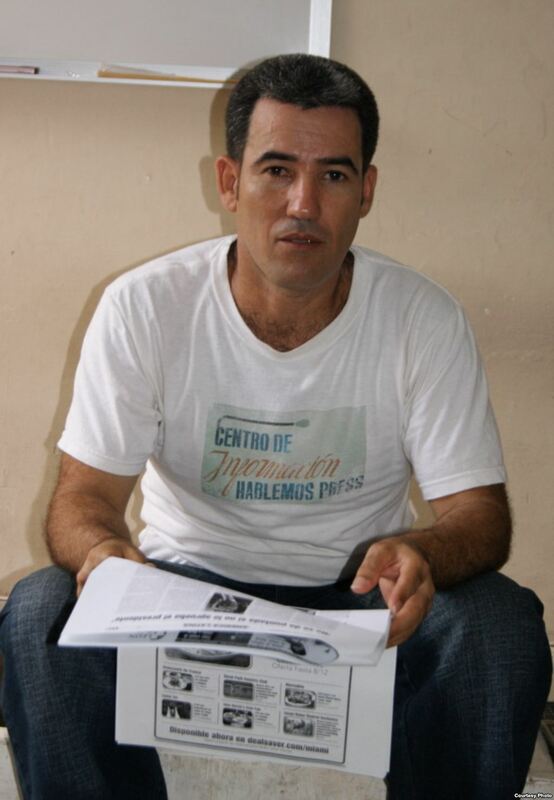 On ten occasions he was internally deported to his home province by Cuban officials in order to prevent him from doing his work as a journalist. During these "deportations"he was also detained for several days. On July 13, 2012 he reported that "sanitation authorities declared an alert for cholera in the town of Mantilla, belonging to the Havana municipality of Arroyo Naranjo. The cholera outbreak, which began about two months ago in the town of Manzanillo, Granma Province, has spread across the country. On July 11 an alert was declared in the town of Mantilla, after three people were hospitalized as suspected of being infected with the bacteria, reported a local doctor, who preferred to remain anonymous for fear of reprisals." 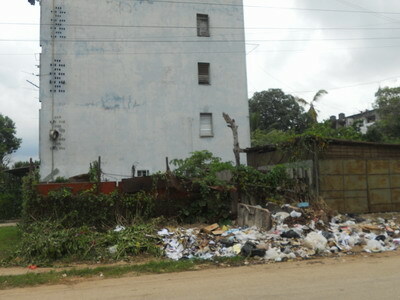 Calixto also managed to take pictures of the accumulated garbage and unsanitary conditions in the area. He also reported on the government's response: "Several neighbors confirmed the alert, and claimed that the same day of the 11th Communal Company cars were picking up the trash, with a view to sanitizing the town, until late into the night. 'It was after two in the morning and walked yet communal people picking up trash,' declared Rafael Fernandez, a resident of Mantilla when asked [and went on to add that] 'In the afternoon I had reached a coffee kiosk and the clerk said it had suspended sales of liquid foods because of the cholera outbreak.' In other neighborhoods and municipalities of the capital there have been cases of cholera. In the Guajay, Rancho Bolleros municipality, three cases were confirmed, eight in El Cerro and 19 in Central Havana. And there is speculation of at least 5 dead in Havana. Although authorities have only confirmed that only three have died." Marco Antonio and his wife Adisnidia Cruz. Photo: Hablemos Press. On August 12, 2012 he reported on the mistreatment suffered by the parents of two brothers, Marcos Maikel and Antonio Michel Limas Cruz, who are imprisoned and recognized as prisoners of conscience by Amnesty International. 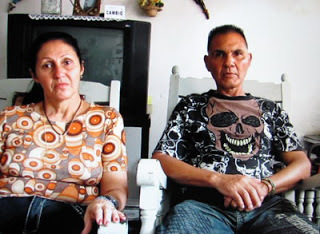 In an interview with their father, Marco Antonio Limas Cruz, he obtained the following account of the cruelty of state security: "My wife Adisnidia Cruz,a Lady in White, I went to Providencia prison to visit our sons and as we left our home at 7:00am, the political police detained and held us there until 12:15pm and the were able to arrive at the prison at 1:00pm" and over the course of five hours in the heat the food was spoiled, reported Lima. 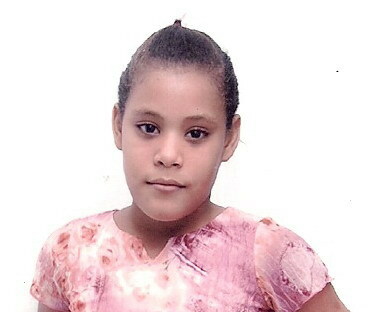 On August 31, 2012, Calixto Ramón Martínez Arias reported on the plight of Jessica Alfaro Oduardo, a Jehovah's Witness who was flunked out of the fourth grade for not writing a speech for Che Guevara and the five spies. She had passed all her other subjects but was failed in the class "The World we live in"for not writing the speech and instead of advancing to the fifth grade she was sent back to third grade. As a Jehovah's Witness her religion forbids engaging in political actions. State security agents arrested Martínez Arias near José Martí International Airport in Havana where he was reporting on two tons of medicine and medical equipment that had been damaged, according to CPJ sources and news reports. Martínez Arias, a reporter with the independent news agency Centro de Información Hablemos Press, was taken to a police station in Havana where he was interrogated and beaten, Roberto de Jesús Guerra Pérez, the organization's director, told CPJ. According to Guerra Pérez, Martínez Arias was accused of contempt under Cuba's archaic desacato or disrespect laws for shouting anti-Castro slogans after he was harassed by authorities. Article 144.1 of the Cuban criminal code establishes that those who threaten, defame, insult, or offend the dignity of a public official can be jailed for up to three years. On September 27, Martínez Arias was transferred to the Valle Grande Prison in the town of La Lisa, Havana province, Guerra Pérez told CPJ. The journalist began a hunger strike in November, according to Hablemos Press. Two people recently released from jail told Hablemos Press that Martínez Arias had been placed in solitary confinement. At the time of his arrest Martínez Arias was looking into reasons why a shipment of medicine and medical equipment reportedly donated by the World Health Organization had been left to go bad, according to Guerra Pérez and news reports. Martínez Arias, who has worked for the news agency since 2009, has reported on sensitive issues such as an outbreak of cholera in Granma province, according to CPJ sources and news reports. Prominent human rights activist Elizardo Sánchez Santa Cruz, president of the Cuban Commission on Human Rights and National Reconciliation in Havana, told CPJ that Martínez Arias was arrested for his journalistic work. Martínez Arias has often been harassed by authorities for his reporting, Guerra Pérez said. In 2011, CPJ documented a string of arrests of journalists from Centro de Información Hablemos Press, which prevented them from reporting on the Communist Party Congress.